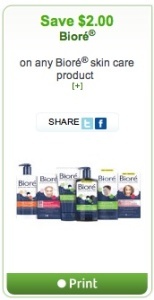 This is a Biore coupon which I found at Websaver. It’s a printed coupon that you can do yourself if you have connection to a printer. All you have to do is create an account, select the coupon you want to print, download software and of course be connected to a printer and print the coupon. You can use this coupon in any store that accepts printed coupons. I’ve used my coupon at Shoppers and Loblaws and had no problems. 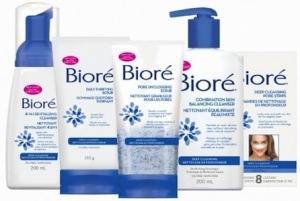 Details about this coupon – Save $2 on any Biore skin care product.